3 Of the rooms have modern bathrooms with a massage shower and a bath. Order one of our Cheese & Wine platters to enjoy on the small wooden deck while watching the beautiful sunset! 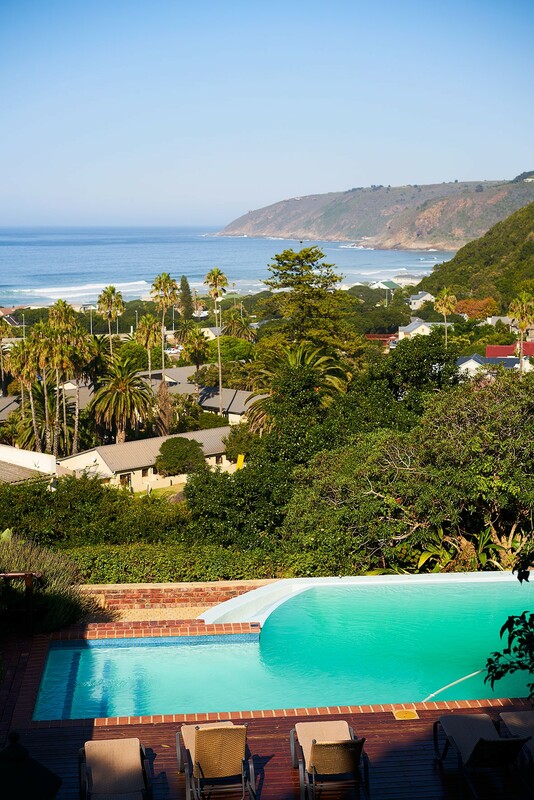 Boardwalk Lodge offers superb accommodation in the Garden Route to suit your pocket and purpose, with our convenient luxury Bed & Breakfast rooms. 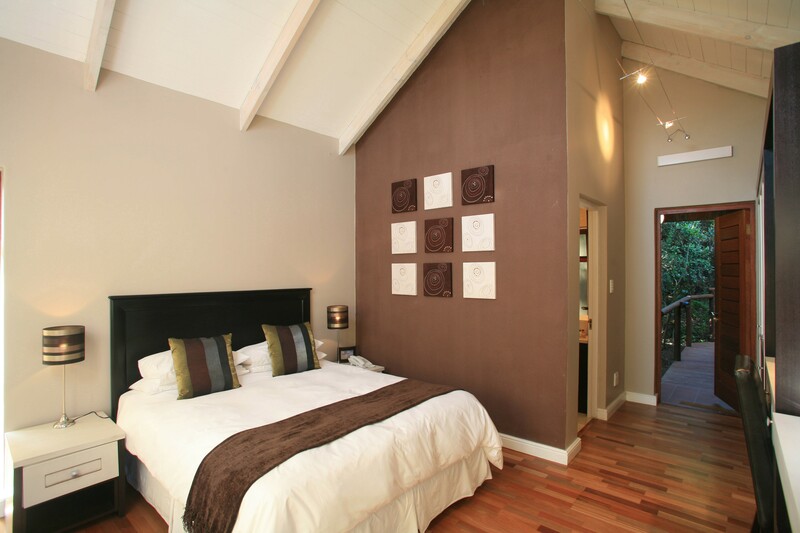 All the bedrooms have en-suite bathrooms with both shower and bath. 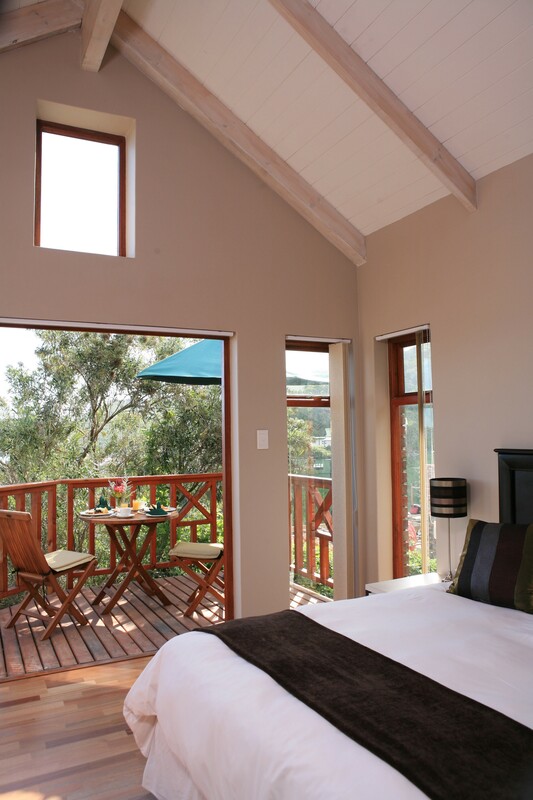 Boardwalk Lodge is built on a forested slope and features stairs to reach the various rooms, but the view is worth the climb! The main guest house buildings are styled in a luxurious yet modern Afro-contemporary manner and consist of 4 luxury bedrooms, each with private deck. The Breakfast Room is also located in the building. The rim-flow swimming pool is located below the luxury rooms and Breakfast Room in lush, landscaped gardens. Between 20 and 30 steps link the main guest house buildings.